George R. Vierno Center on Rikers Island, seen from the Bronx. Over the past two years there has been a steady drumbeat of op-eds about how terrible the city’s jails and prisons on Rikers Island are and how great is the need to reform the city’s criminal justice system. It has been a power elite cause as well: Even the head of the Ford Foundation got into the act with an op-ed in The Atlantic. Someone has also financed promotional movies to sell the cause and one-sided panel discussions are everywhere, like the most recent at the School of Visual Arts on March 12th. But there is a huge problem: There is no connection between the administration-of-justice reforms that are truly needed and actually closing Rikers. Even less clear is the connection between three completely different ideas: systemic justice reform, closing Rikers, and spending $11 billion to build four new tower-jails in downtown neighborhoods in all Boroughs except Staten Island. New Yorkers would be right to wonder what is going on. TheDaily News, to its credit, called out the game behind the scenes with the headline: “Potential Closure of Rikers Island Sparks Dream Opportunity for Developers, Planners.” The upshot is that we are now embroiled in the spectacle of real-estate drama rather than talking about how to enact (and pay for) the administrative, managerial, and legal reforms that would actually reduce the number of people who need a bed on Rikers. The background is simple: Big foundations with a criminal justice reform agenda agreed to pay for the work of an activist “Commission” to propose reforms, ostensibly at the request of former City Council Speaker Melissa Mark-Viverito, whose election campaigns have been heavily financed by the real estate industry. The Commission was filled with long-term criminal justice advocacy groups, various members of the city’s power elite, ‘Close Rikers’ advocates and sympathizers, and, oddly, a few people with real estate connections, such as the CEO of Forest City Ratner. Reformer and ex-judge Jonathan Lippman chaired the Commission that bears his name. The Commission produced two reports, found here. In those reports, the Commission outlines an excellent case for diversion programs and for the reforms of sentencing, bail, and case processing. But then, in an incredible leap of logic, it tries to sell us on spending $11 billion to build four new tower-jails in residential neighborhoods, all near the downtown borough courthouses, and then spend an additional $15-22 billion to redevelop Rikers Island as a vaguely described “mixed use development.” (The specifics of that mixed-use plan would be something the real estate industry works out once they have their paws on Rikers Island, which the Commission notes is conveniently above the flood plain). That initial $11 billion figure also includes an eyebrow raising carve-out: $250 million to build a brand-new training college for the corrections officers—yet another real-estate project! The final price tag is not clear, as the additional costs of implementing the Commission’s useful laundry list of non-real-estate related administrative and managerial reforms of the administration of justice are not priced out or sequenced in a logical way. Mayor de Blasio has bought into “let’s build new jails” part of the idea. The real-estate project is therefore advancing quickly, steamrolling over a lot of legitimate concerns, complete with Neighborhood Advisory Councils that present a City Hall-curated form of community input. All of this is being done without regard for the obviously less expensive alternative of simply renovating the buildings on Rikers. The advocates are getting pretty heated, too. Judge Lippman even claims (wildly as well as wrongly) that if you don’t like his idea, “then you support mass incarceration” which is as insulting as it is ridiculous. In a January 2019 meeting with a Community Board 1 land-use committee, Mayoral staff dismissed the far simpler and cheaper idea of renovating the existing jails on Rikers, claiming that it would be “impossible” – a policy position that stretches credulity. Instead, the Mayor’s team prefers to talk about the glassy design ideas for new jails that a clever architect sold to the Commission, the same architect who already designed and supervised a new building on Rikers that went up under Bloomberg. (Judge Lippman’s praise of the marvelous things architects can do with jails can be found at the Cityland video cited in the footnotes). The Wall Street Journal‘s recent coverage of the luxury-condo version of jail designs is here. When backed into a corner, advocates complain of isolation and logistical difficulties in getting people to court. But Rikers is not isolated from Queens, and is only 1550 feet from the Bronx where most of the incarcerated people come from. Why not bring the ferry back to Rikers or, smarter still, have the East River Ferry make Rikers a regular stop? After all, there used to be a ferry before the road was built and you don’t need a fleet. And while you are at it, why not build a low-cost (under $1 million) pedestrian footbridge to the Bronx where there is a bus stop? Other places have done that for cheaper. So why not at least investigate the renovation option rather than dismiss it? Also troubling: The “Build New Jails” advocates have adopted a two-step Bait and Switch political strategy that is oddly familiar. Step 1: Demonize something with a slogan that confuses a lots of complex issues (in this case the concept of mass incarceration, the design of the existing buildings on Rikers and the location of Rikers) while setting out a new slogan as bait, a single public good that gets Exalted Above All Others, which in this case is “ending mass incarceration.” Step 2: use the ensuing confused debate over what the Demonized and the Exalted things really are to distract everyone from the switch: big real estate deals behind the scene. We’ve seen how the De Blasio team and REBNY used that playbook with the affordable housing issue. In that case they cast “zoning regulations, landmarks, historic districts, and ‘NIMBY’ community groups” as the Demon. The Exalted & Vaguely Defined Public Good used as bait was “affordable housing.” The switch was the subsequent give-away of FAR to the real estate industry for a building spree of luxury towers, a deal in which the politicians (universally beholden to big real estate according to the Real Deal here) agreed to adopt a see-no-evil policy stance about the negative effects of the switch. So why do the Lippman Commission and the De Blasio Administration unnecessarily link the important managerial, administrative, and legislative reforms of the justice system with the idea of building expensive new tower-jails and closing Rikers? Why is the City Council not pushing for examination of reasonable (and cheaper) alternatives that don’t involve real estate? My principal concern, arising from a close reading of the two reports put out by the Lippman Commission, is that there is just not enough of a logical connection between three topics: building new jails; closing Rikers; and reforming things like bail, sentencing, diversion, and case processing (let alone decriminalization of offenses for which nobody should get arrested in the first place). Oddly enough, Mr. Lippman himself laments that the four new jails that Mayor is flogging are “out of scale,” “overkill,” and “way too tall.” Moreover, he said, “the original thought or plan was to make small jails and do like 20 of them around the city, 300 people each….little jails.” Even so, it still isn’t clear why we need new jails at all, small or large, instead of just renovating Rikers, for a vastly reduced population or how that idea got lost in the new real estate boondoggle worth $11 Billion to taxpayers. It may be that bringing the real estate industry into the discussion was just a mistake. But it has consequences. Among ordinary people not in the bubble of reformers, the original cause of reforming criminal justice is getting lost in crazy new tower jail debate. My conclusion: stop the train! Stop pushing expensive new jails. Ask the City Council and the fiscal think tanks and other non-biased accounting experts to complete credible due diligence about alternatives that don’t involve the real estate industry. One of those alternatives would obviously be renovation of the existing buildings on Rikers under the scenario of a vastly reduced number of detainees. I mean come on, the famous jail designer already designed and built a new jail at Rikers, a fact nobody seems to ever mention. Another alternative to flesh out is that of expanding ferry service to Rikers from the Bronx and Manhattan and building a low-cost footbridge to the Bronx. Rikers is a mere 1500 feet from the Bronx mainland. Taxpayers deserve more responsible fiscal planning. Lynn Ellsworth is an economist who spent five years as a consultant to the Eckerd Family Foundation conducting research on the efficacy of programmatic interventions for youth tangled up in the juvenile justice system. She also advised the foundation on their philanthropic investments into reforms of criminal justice. 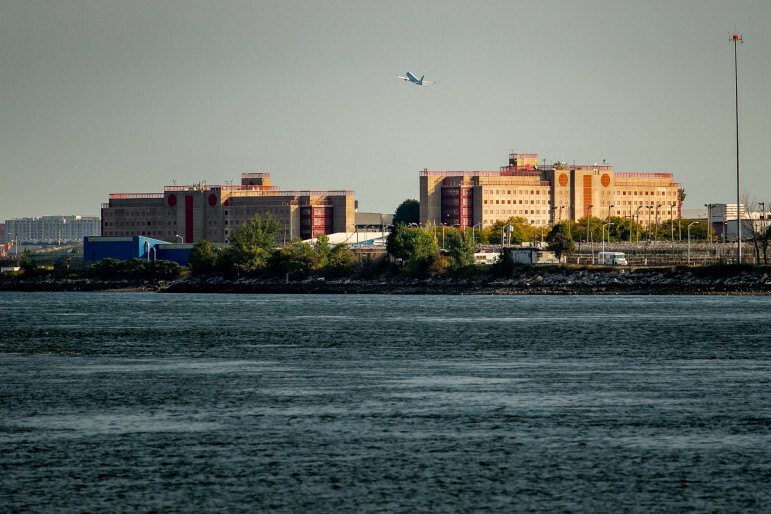 In the wake of media investigations and prosecutors’ reports revealing widespread problems at the city’s main jail facility, a small but influential set of voices has begun calling to close Rikers Island. 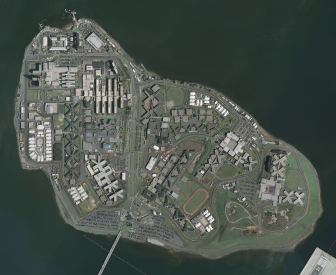 With the goal of informing the growing debate, City & State and City Limits present this series of articles exploring Rikers Island, its problems, the proposals to fix them and the bold case for more sweeping change. Fantastic article but it seems you omitted the punchline. The crux of this whole “we must shut down Rikers for the sake of humanity and move it into nice local neighborhoods” campaign without a plan is because, as stated if you look hard, the Mayor wants to use Rikers Island to extend La Guardia airport and build a luxury conference center. This bleeding heart campaign is all about freeing real estate for a major project which might have big dollars and a building with the Mayor’s name on it, who will be long gone having stepped over New York City and on to greater political ambitions by the time this fiasco hits the proverbial fan. If the deal was to turn Rikers Island into a park once the jails are moved elsewhere, would you feel differently? I hope moving the Riker’s population elsewhere mean right in YOUR backyard, then would YOU feel differently? Whether it’s greedy real estate development or a lovely park. No, I honestly wouldn’t feel any differently. If they want to come to Norwood, they’re welcome. I’ve said the same thing about homeless shelters and other infrastructure that some neighborhoods have resisted. My logic is simple: A) The people who use those facilities are human beings like you and me and B) They’ve got to go somewhere; living in the city means accepting that some services are going to be located near you, even if that is inconvenient, unattractive, et cetera. Your logic fails. The city hasn’t explained or justified why Rikers should be moved at all. And a park is fine. But trying to stuff literally several thousand extra people into areas already at absolute peak traffic and not designed for it isn’t comparable. Shoving a Marriot into an area of gridlock is a disaster. If your daily commute became a regular disaster you’d care. If your taxes rose 5% to build a jail that towers over everything in the area, you’d care. And if you saw the homeless in these areas already and lived there, you’d care. And we haven’t talked about your home and neighborhood plummeting in value. Big talkers until something actually impacts them and they can feel it. The city has explained the justification for closing Rikers at length. I’m not sure my logic is failing so much as the ability of opponents of the Close Rikers plan to honestly assess the problems with the status quo. Just because you can’t see them doesn’t mean they aren’t costing you. The very real impacts of the proposed new jails, and the valid questions about them, have to be judged in comparison, not in a vacuum.